At ActualTech Media, we develop content to help you generate demand and nurture prospects, and even enable your Account-Based Marketing (ABM) strategies. With our established, field-derived technical expertise you don’t need to waste endless hours educating authors on the underlying technology meaning you’ll be able to fast-track your content development strategy. Our trusted, 3rd-party content is industry-recognized for its easy technical consumption and business and decision-maker focused approach. Our established content brands including Gorilla Guides® and Enterprise IT Innovations Series, as well as custom content offerings, help you capture more attention, more quickly. Effective content marketing and account-based marketing (ABM) strategies need effective content assets to drive demand. Research shows buyers trust 3rd-party content and rely on it to make sound purchase decisions, starting from when they realize they have a need right down to establishing their decision criterion and making purchase decisions. 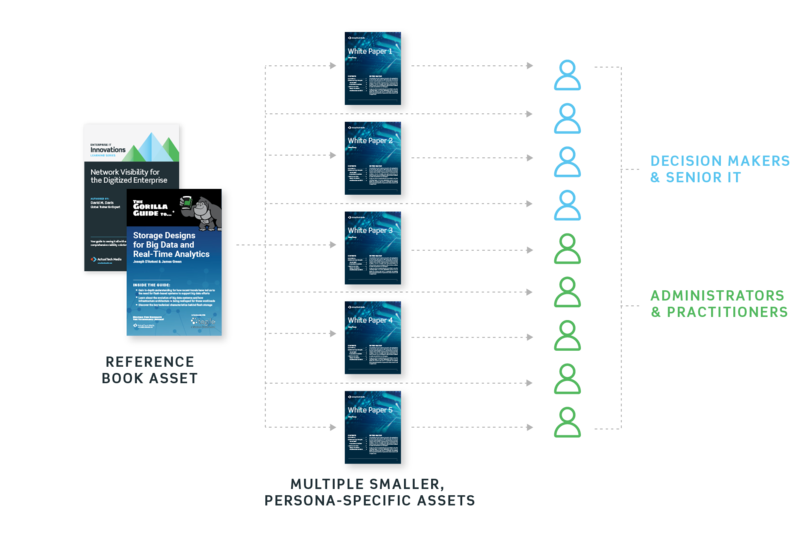 ActualTech Media’s huge variety of 3rd party content assets fuel your funnels with fresh assets that cover the entire spectrum of the buyer’s journey, addressing their need for education in each key phase. 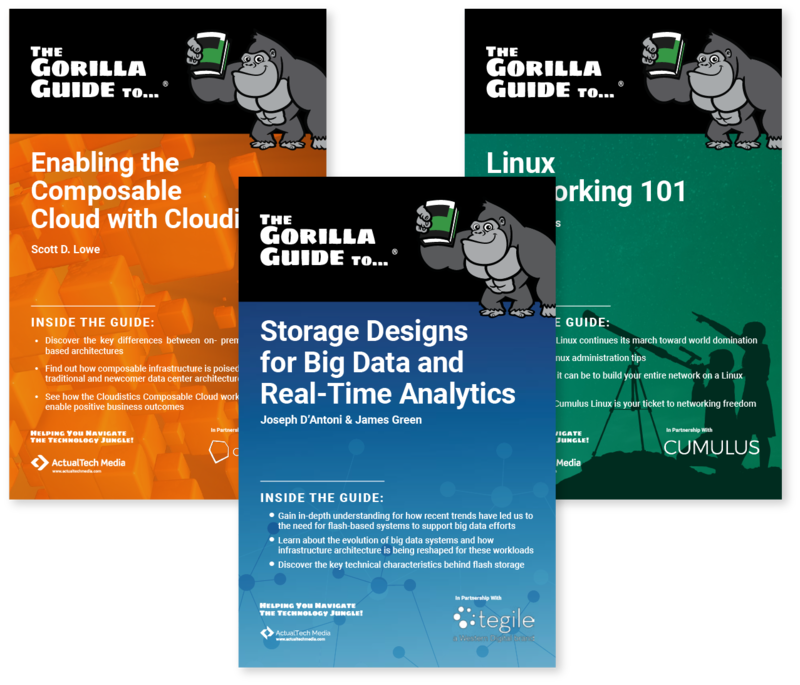 The Gorilla Guide series of 40- to 70-page books and ebooks are dedicated to helping readers navigate the increasingly dense ‘technology jungle’. In each book, readers are guided along a journey of discovery as they read about new technologies and how these technologies fit into the existing landscape and even enable the business. Each Gorilla Guide book features a series of icon-based callouts to help ensure full understanding of the subject matter. The Gorilla Guide is the perfect evergreen asset if your goal is to establish your company as a thought leader in a market space. With Gorilla Guides, the focus is on the technology, with some emphasis on the sponsoring company’s products. Wherever appropriate, Gorilla Guide authors – via a custom callout – will highlight the ways by which your company’s products can be used to solve a particular problem. 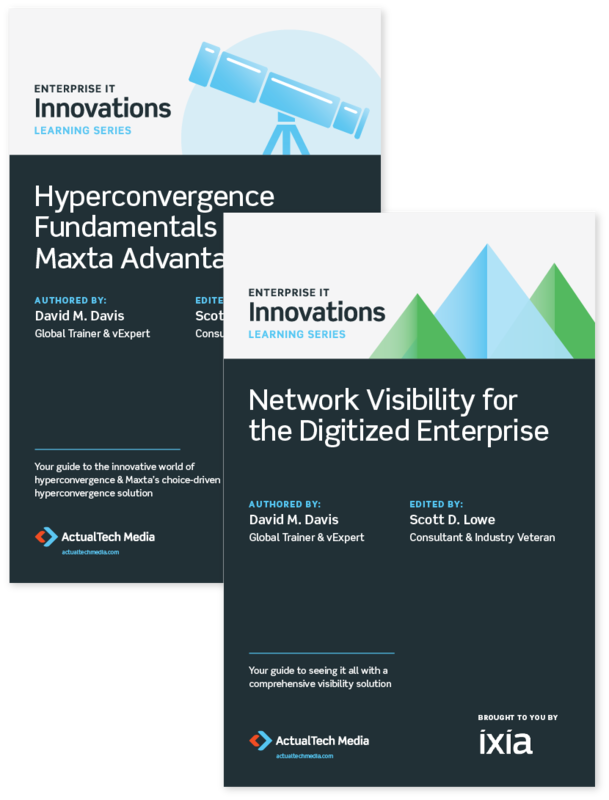 Our exclusive Enterprise IT Innovations learning series is designed to help you highlight the beneficial effects of your unique solution on specific data center challenges facing IT departments. Where the Gorilla Guide series is designed to cover technology concepts, Enterprise IT Innovations printed books and ebooks help explain how your individual solution works. Expertly authored by ActualTech Media’s stable of data center technology authors, Innovations series books range in size from 50 to 70 pages, covering the technology topic in detail before moving on to illustrate and explain how your solution solves the data center challenge your target market is facing. Gorilla Guides and Enterprise IT Innovations series book bundles are all designed to break down into multiple, smaller pieces of content like whitepapers or tech briefs to ensure you get maximum mileage from your book’s content. Use these additional, derivative assets to target specific personas like decision makers or administrators who may have different concerns. Have a vision for a technology book tailor-made to meet your thought leadership goals? ActualTech Media can work with you to develop, author, design, print and promote a stunning book asset that will drive demand quarter after quarter. For example, we partnered with Atlantis Computing to develop the highly anticipated “Building the Modern Data Center: Principles and Strategies of Design” guide for IT architects. The 263-page eBook has been downloaded thousands of times and distributed widely in beautiful printed form at trade shows across the USA. Talk with us about your vision and let’s work together to build a bespoke content asset the market will notice! Running a survey on your own sounds really easy, but as you begin the process, you discover just how challenging it really is. From defining a hypothesis to designing questions that ensure quality feedback to driving responses that meet your criteria, there are opportunities for error at every step. Any error at any step can result in a survey with dubious outcomes. Rather than a thought leadership opportunity, you may have spent time and money on something that can’t ensure legitimate results! 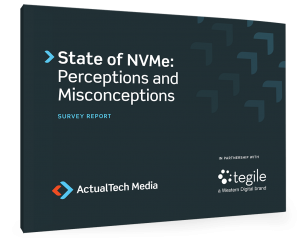 ActualTech Media has years of experience in helping clients think through what they want to learn, in designing surveys that yield quality data, and in driving highly engaged respondents willing to share their thoughts and experience on a wide range of topics.